Bruce Burrows was never satisfied with the taste or quality of the coffee he made at home. After trying what seemed like all of the various drip and K-style single serve brewers on the market, he consistently found the taste of the coffee to be substandard at best. It couldn’t come close to the smooth and non-bitter taste of the expensive brews he enjoyed at his neighborhood coffeehouse. Bruce was also frustrated by the widely reported quality issues of K-style single serve brewers which led to premature brewer life and the ongoing hassle of boxing up and returning defective brewers to where they were purchased. Bruce realized that the only way to have great coffee taste at home was to re-invent how coffee was brewed at home. So he did just that by inventing SpinBrew™ Technology for single serve brewers and SteamBrew™ Technology for multi-cup brewers. Both technologies spin, steam and stir throughout the brewing process to open up the grounds, unlocking and releasing all the exquisite coffee flavor in a way that has never been done before. What you get is Impossibly Smooth™ coffee taste with the familiarity of a drip coffee maker or the convenience of a K-style single-serve brewer. The SpinBrew™ Technology in every iCoffee® single serve brewer spins, steams and stirs right inside any K-compatible cup to brew coffee that always tastes Impossibly Smooth™. Our exclusive SafetyLock™ locks the single-serve brew head during the brewing process, protecting consumers. iCoffee Opus Single Serve Brewer is amazing! I love how quickly it brews my coffee in the mornings which is definitely helpful to this mom of 4. Every cup of coffee I made in the iCoffee Opus Single Serve Brewer came out incredibly smooth and delicious. I also love that the iCoffee Opus Single Serve Brewer Fits all K cups! The water reservoir is also large enough that it doesn't need to be refilled to often and it also aromatically shuts off which is great because I can never seem to remember to turn things off. Another thing I really like is that the iCoffee Opus Single Serve Brewer allows me to fill up my extra large travel mugs. I also love the sleek design of the iCoffee Opus Single Serve Brewer. 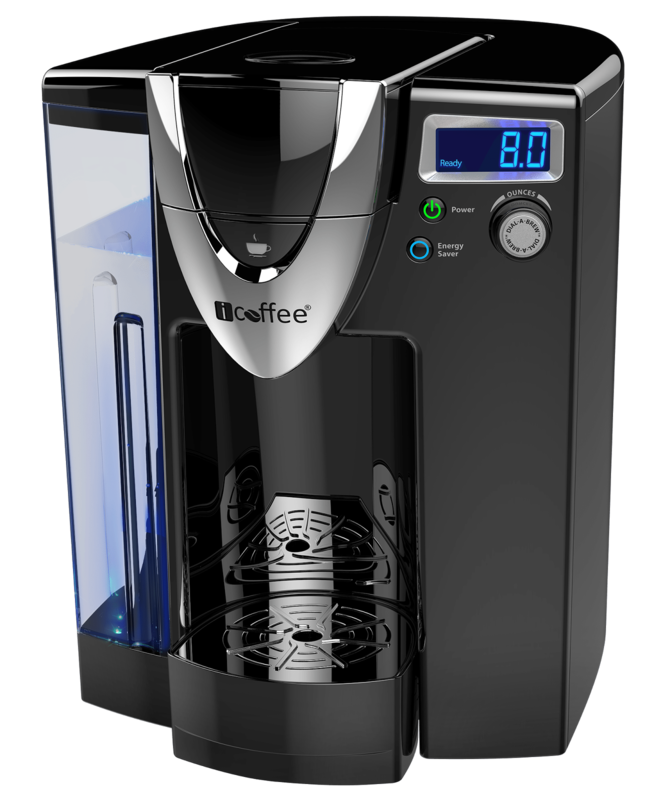 The iCoffee Opus Single Serve Brewer looks great on my kitchen counter and would make a terrific addition to any kitchen! Click HERE to find a store near you that sells iCoffee! Click HERE to learn more about iCoffee! Follow iCoffee on social media!